"Doctor who? 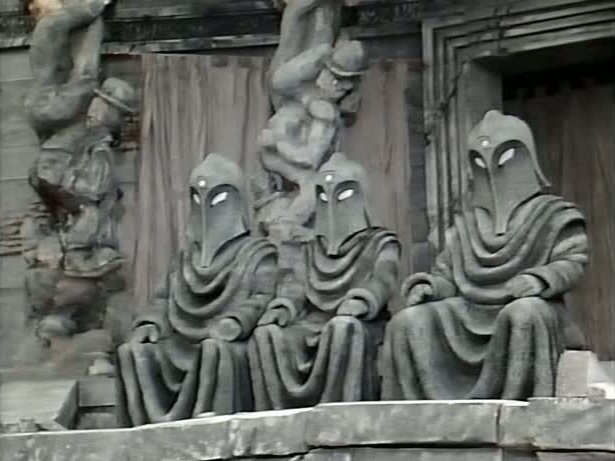 Have you never wondered where he came from? Who he is?" Doctor Who had reached its twenty-fifth anniversary in 1988 which means that we've also reached the halfway point in this overview of the series's history. And how did they celebrate this milestone? Not with a multi-Doctor get-together as many might have expected. On TV at least, the production team took a different tack. 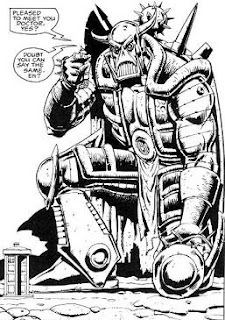 Whilst the third story of the season, 'Silver Nemesis' was promoted as the Silver Anniversary story (mostly because it has 'Silver' in the title and featured the Cybermen). 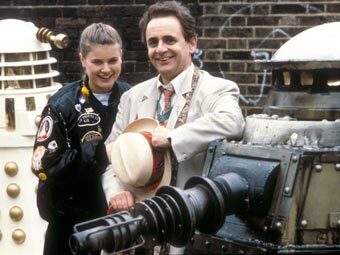 But, to many fans, it was the opening story of the 25th season, 'Remembrance of the Daleks', that was the true Anniversary story as it took the Doctor and Ace back to where (and when) it all began. 'Remembrance...' sees the Doctor and Ace arrive in London in 1963 so that the Doctor can pick up something that he left behind when he was last in this time. 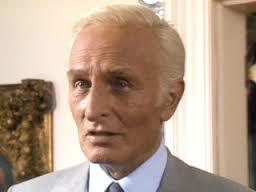 When the Doctor was last in 1963 he left behind a powerful Time Lord device called the Hand of Omega. In the wrong hands it can be used as a deadly weapon. And it has seemingly taken the Doctor all this time to get round to coming back to 1963 to pick it up. This story sees the beginning of the idea of the Doctor as the master-manipulator, someone who always seems to have some grand master plan and isn't bothered about using those around him - friend and foe - to achieve his ends. It's something that will appear in these last two seasons of the TV series several times, not to mention a lot of the spin-off media that appeared in the early 1990s. Here, the Doctor knows that the Daleks want the Hand of Omega and wants them to steal it because he's arrange for the Hand to destroy the Daleks once and for all. However the Doctor's plan has a snag as there are two different groups of Daleks after the Hand, something that he hadn't planned for. 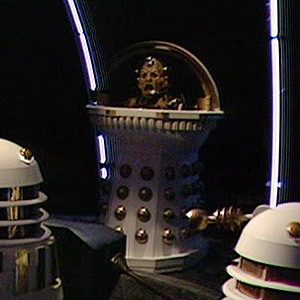 There are the grey Renegade Daleks (led by a Black Dalek) and the white and gold Imperial Daleks (led by a dome headed Emperor who looks similar to the Emperor from the Sixties Dalek comic strip that ran in TV 21). There's also a group of soldiers and scientists, headed by one Group Captain Gilmore - a sort of prototype UNIT commanded by a prototype Brigadier figure - who are trying to protect London from both sets of Daleks. In the end the Imperial Daleks steal the Hand of Omega and the Doctor tricks the Emperor - who turns out to be Davros in disguise - into using it to destroy the Daleks home planet of Skaro and their own spacecraft.The Renegade Daleks, on the other hand have been wiped out by the Imperials and the Doctor talks their leader into committing suicide. All in all not a good day for the Daleks. This is a particularly good story for Ace in her first story as a full-on companion. On the one hand we get to see her gung-ho aggressive side as she beats up a Dalek with a baseball bat. On the other hand we also get to see the softer side of her character. We discover her disgust of racism and see her cope with falling for someone who turns out to be a traitor. Already Ace is turning out to be one of the most well-rounded characters yet created for the series. 'The Happiness Patrol' is the next story and again shows the Doctor's manipulative side as he engineers a revolution and brings a corrupt regime down all in one night. The corrupt regime in question is led by Helen A who controls the people of the planet Terra Alpha by forcing them to be happy. Those that aren't happy are executed. 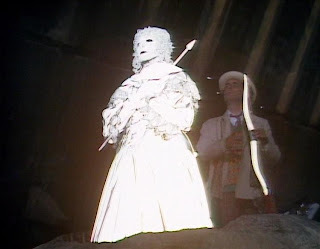 The Doctor brings together the dissatisfied populace of Terra Alpha (who call themselves as Killjoys) and the indigenous population of the planet (who have taken to living in fear beneath the planet's surface) and together they bring down Helen A and her 'Happiness Patrol'. This story is 'infamous' for two main reasons. 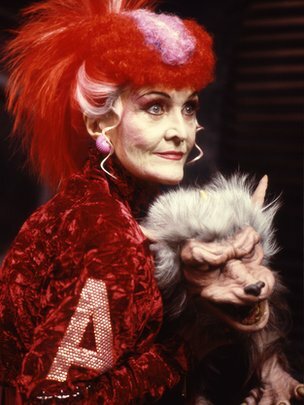 The first is Helen A who is portrayed by actress Sheila Hancock in what can only be seen as a pastiche of then Prime Minister Margaret Thatcher. It caused some comment in the press at the time and was, unusually, brought up again a couple of years ago when the news programme 'Newsnight' ran a piece on the story and its 'anti-Thatcher agenda'. We now come to 'Silver Nemesis', the story that was officially billed the as the Silver Anniversary. 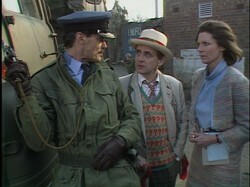 The first episode was broadcast on the Anniversary date itself, 23rd November 1988. Also, according to a caption on-screen, much of the story is set on that same date. Which is all well and good except that it quickly becomes obvious that the whole story was filmed in mid-summer. 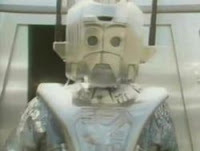 Putting the silver into 'Silver Nemesis' is the Cybermen who are on Earth looking for validium, a Time Lord-created living metal that has crashed to Earth in the form of a statue. Also after the statue, called Nemesis, are a group of Neo-Nazis and Lady Peinforte, who has time travelled from the year 1638 to reclaim the statue that used to belong to her. In a story not entirely dissimilar to 'Remembrance of the Daleks', the Doctor manipulates the three opposing groups into wiping each other out before using the power of the statue to destroy the Cybermen, seemingly once and for all. Finally, we come to 'The Greatest Show in the Galaxy', the final story of this anniversary season. The Doctor and Ace travel to the planet Segonax to visit the famous Psychic Circus and take part in their talent show. Naturally, things are not what they seem. The Circus is now under the control of the Gods of Ragnarok, a trio of powerful beings who need to be entertained constantly and kill when they don't get what they want. The Doctor puts on the one-man show of his life to keep the Gods distracted while Ace searches for the means to destroy them. This story was very nearly not made at all. As filming began at the BBC studios in Elstree, asbestos was discovered in the building and the studios were closed while it was removed. Producer John Nathan Turner came up with a solution that enabled filming to continue. 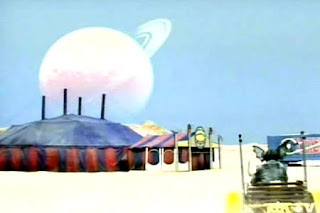 As the story was set in a circus he simply switched filming from a studio to a genuine circus tent that was erected in the car park of Elstree studios. Had it been another story that had been hit by this crisis it's possible that we'd have been looking at a shortened season and an incomplete story. There were three classic stories released on video this year: Spearhead from Space, Terror of the Zygons and Talons of Weng-Chiang. The latter two stories were the first to be released with a PG rating in the UK. This was something that caused some controversy at the time and actually delayed the release of both videos for a time.Indeed, both were released in Australia some six months before they came out in the UK. Another video release that had been delayed was an independent production called 'War-Time'. This was a straight to video short film produced by Reeltime, the same company that produced the Myth Makers interview videos. 'War-Time' focuses on Sargent Benton who, if you recall appeared regularly alongside Jon Pertwee in the 1970s. 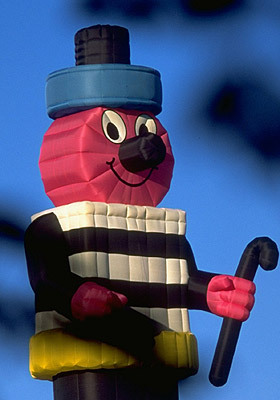 Benton was apparently the only regular Doctor Who character not copyrighted to the BBC which made him the ideal subject for an unofficial production like this one. This is a ghost story that sees Benton being haunted by figures from his past, most notably his father. Also released this year was another in the Myth Makers interview series. This time the focus was on writer and director Peter Grimwade. To celebrate the Anniversary, the BBC released the 25th Anniversary Album. However, if you were expecting music from throughout the history of the series you would have been disappointed. With the exception of each of the four different versions of the theme tune, all of the music came Keff McCulloch, the main composer of seasons 24 and 25. There's some good music on there, even taking into account how very 80s some of it sounds, but it does seem as if an opportunity was missed to showcase 25 years of music. However, the big news as far as Who related music was concerned was the release of novelty single, 'Doctorin' the TARDIS' by a group calling themselves The Timelords, although they achieved rather more success as The KLF. That said. 'Doctorin' the TARDIS was hugely successful in the summer of 1988 and made it to Number 1 in the charts for a couple of weeks. The video below is the official video made for the song. Presumably, in order avoid any copyright issues, there is nothing in the video relating to Doctor Who at all, other than a pair of lawsuit-avoiding, poorly rendered Daleks. The police car, incidentally, was called Ford Timelord. The Novelisations continued throughout the year and saw both the introduction of the new logo on the cover and the first Seventh Doctor novelisations. 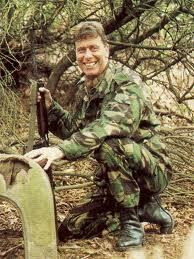 Appropriately enough that first book was the novelisation of his first TV story, 'Time and the Rani'. 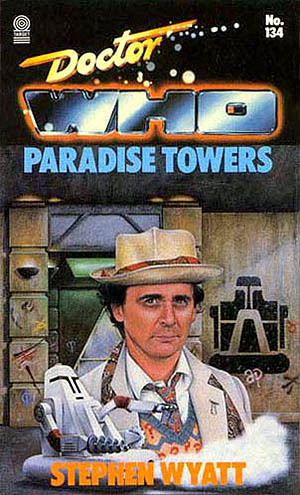 His second story, 'Paradise Towers' , was also novelised this year. 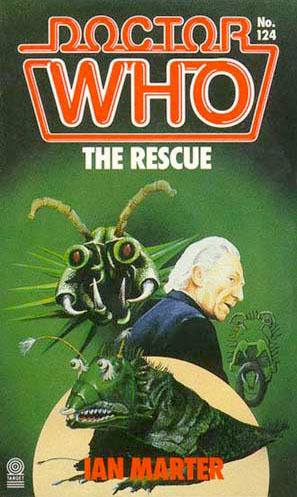 The other stories novelised in 1988 included, once again, a number of First Doctor stories. The stories in question were 'The Rescue' (the last book to be written by Ian Marter before his untimely death), 'The Time Meddlar', 'The Edge of Destruction' and 'The Smugglers'. There were also a pair of Second Doctor stories novelised: The Underwater Menace and 'The Wheel in Space'. Finally there were no less than four Sixth Doctor novelisations released this year: 'Vengeance on Varos' and three quarters of the Trial of a Time Lord - 'The Mysterious Planet', 'Terror of the Vervoids' and 'The Ultimate Foe'. 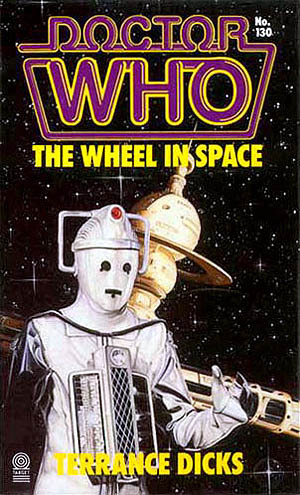 Titan Books (a newcomer in the world of Doctor Who) published the first in a series of Script Books. As the name suggests, the Script Books published the full scripts for a number of classic Doctor Who stories. The scripts were also accompanied by notes on the making of each story. The first story to be given this treatment was, appropriately enough, the very first story: 'An Unearthly Child' although the book used one of the story's alternative titles: 'The Tribe of Gum'. DWM cartoonists were back with a sequel to the previous year's 'Doctor Who Fun Book'. Titled 'It's Bigger on the Inside!' the book was more of the same - lots of funny Doctor Who comics strips and ilustrations. Well worth getting hold of if you can find it. On the non-fiction front there were three books of note. Peter Haining was back with final (for now) coffee table book about the series. Tying with the anniversary, it was appropriately titled '25 Glorious Years'. Meanwhile both the Daleks and the Cybermen each got their own books. 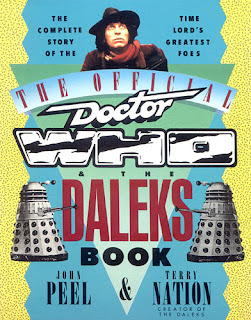 Co-written by Dalek creator Terry Nation and American Doctor Who fan and author, John Peel, 'The Official Doctor Who and the Daleks' book provided details about the making of each of the Dalek stories produced (with the exception of the most recent, 'Remembrance of the Daleks'). It also included a detailed Dalek chronology and details of the pilot episode for a proposed Dalek TV series that Terry Nation had hoped to make in the Sixties. This book was only ever published in the United States for some reason although imported copies could be found elsewhere. 'Cybermen' was written by David Banks, the man who had played the Cyberleader in every Cybermen story produced in the 1980s. From the amount of detail in this book it's very obvious that the Cyberleader was more than just another acting job for Mr Banks. The book was divided into four sections. The first section discussed the background and inspiration behind the creation of the Cybermen while the third and fourth sections looked at the Cybermen's various appearance both on TV and elsewhere. It's the second section of the book that is most interesting though as it's a fictional account of the Cybermen's history. 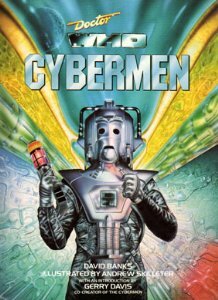 It attempts to put the Cybermen's various TV appearances into a logical timeline and, amongst other things, explain why the Cybermen look and act so differently in their TV appearances. All in all, more depth and detail is given to the Cybermen in this book than was ever seen in the TV series. The Seventh Doctor's first full year in the Doctor Who Magazine comic strip saw his travelling alone for the most part. There was no Mel, no Ace and (after the end of A Cold Day in Hell) no Frobisher either. If you recall, the Doctor did leave at the end of that story with Olla the Heat Vampire. However she was never destined to be a long-term companion. In the very next story, 'Redemption', we discover that Olla had been the willing consort of an evil War-Lord and run out on him, taking all his money. 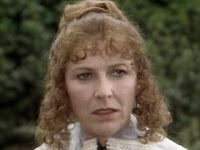 The Doctor has to reluctantly hand her over to the War-Lord who has come looking for justice. And so the Doctor travels on alone. The next story, titled 'Crossroads of Time', on paper is a fairly straightforward tale of the Doctor meeting a robotic bounty hunter. At the time, though, the story had a far greater significance which is worth explaining. Back in the late 1980s the Doctor Who Magazine was published by the UK branch of the mighty Marvel Comics. Those in charge of Marvel UK were expanding their range of titles and wanted to create a 'shared universe' for their various titles. 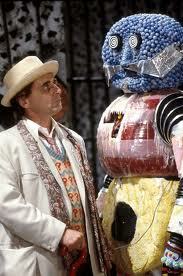 The key to achieving this was Death's Head, the robot bounty hunter that the Doctor meets in 'Crossroads of Time'. a time portal in Transformers, Death's Head then bumps into the Doctor, as seen in 'Crossroads of Time'. The Doctor, after shrinking Death's Head down to human size, then sends him through time again to Earth in the far future which happens to be the setting for a new Marvel comic series called 'Dragon's Claws'. After a guest appearance in that title Death's Head then spun off into his own comic book series - more on which when we get to 1989. So there you are: Doctor Who played a small but significant role in British comic history. Ultimately it all came to nothing when Marvel UK imploded a few years later but it's nice that Doctor Who was able be a part of it while it lasted. And it won't be the last time we see the Doctor interact with other comic book characters either. The comic strip seemed to be going through a bit of a rough patch in 1988. Whereas, in previous years, readers had said that the comic strip was superior to the TV series now the reverse seemed to be true. There was no longer a regular writer or artist on the strip so there was no real sense of continuity between the various stories. A number of stories in the 1988-89 period were also very short, 8-page, one part stories which seemed to disappoint those readers who were used to longer, more epic adventures. Following 'Crossroads in Time' came 'Claws of the Klathi', probably the most traditional Doctor Who strip published that year. Set in 1851, it showed the Doctor tackling a group of aliens stranded on Earth who want to use the centrepiece of the Great Exhibition to return home. Following this there were a couple of short strips: 'Keepsake' and 'Culture Shock' and then came the 25th Anniversary strip: 'Planet of the Dead'. This two part story saw the Doctor land on an apparently deserted planet only to find it populated by a number of his old companions: Adric, Sara Kingdom, Katarina, Peri and Frobisher all put in appearances. However all is not as it seems as his 'companions' are really shape shifting aliens wanting to eat him. Just as all seems lost the Doctor is rescued by his previous selves but they too are shape shifting aliens and the Doctor is able to trick them into letting him escape. Although it's a fairly simplistic story, it's notable for being able to do what the TV series could never do at the time - bring all the Doctors together at the same time, even if on this occasion they turned out not to be the real deal. It's also a great debut for new artist to the strip Lee Sullivan. Sullivan - who would make many contributions to the strip - was an ideal choice to illustrate this strip as he does an excellent job of capturing the likenesses of all the main characters. The year came to an end with a 2-part story: 'The Echoes of the Mogor'. Here the Doctor investigates apparently ghostly goings-on a planetary survey base in the future. This story sees the debut of the Foreign Hazard Duty (FHD) team. These investigators are a sort of futuristic UNIT group, with the Doctor ending up in a familiar role of scientific adviser. The FHD would appear on several other occasions over the next few years.